One of our most important physical features is our hair. Our hair follows us through the generations and directly affects our self-esteem and overall happiness. We’ve found many testimonials of people who enjoy using Sea Buckthorn to soothe the skin and encourage healthy hair growth. Now more than a few cosmetics companies are incorporating the fruit into hair oils, conditioners and shampoos claiming that it conditions and protects, leaving hair silky and strong, also detangling, shining and smoothing even the most damaged hair. Let’s examine why this superfood is currently in high demand in the hair care industry. Chinese scientists, in 2009, discovered a human demodex parasite that lives off skin and hair follicles, causing problems ranging from rosacea, hair loss and premature grayness, to enlarged pores and acne. The parasites were found to feed off the nutrients from the skin. The oil kills the parasites that are believed to be the cause of some major hair loss and, in conjunction with the oils restorative properties, should lead to better hair growth. In 2010, sea buckthorn was featured on The View for hair, skin, and nails. Legends about Sea Buckthorn tell us how the ancient Greeks used it in a diet for race horses, hence it’s botanical name “Hippophae” – shiny horse. According to another legend, Sea Buckthorn leaves were the preferable food of flying horse – Pegasus. The Tibetan medical classic-the rGyud Bzi (The Four Books of Pharmacopoeia), completed during the Tang Dynasty (618-907 AD), has 36 chapters, which had recorded the prescriptions for curing the diseases of blood circulation systems, skin wound, anti-inflammation and strengthen and coordinate the balance of functions among liver, stomach, spleen, kidney and heart. Read more about the legends surrounding the sea buckthorn berry. Sea Buckthorn is said to be a natural way of promoting hair growth. When applied directly, the rich nutrients and proteins saturate the scalp and stimulate hair follicles. What results is less dry and damaged hair. Traditionally, Sea Buckthorn oil is widely used to promote the recovery of various skin conditions, including eczema, burns, and bad healing wounds, skin damaging effects of sun, therapeutic radiation treatment and cosmetic laser surgery. The preparations from the berries are also utilized to prevent gum bleeding, to help recuperate mucous membranes of the stomach and other organs. Cosmetics and skin care products made of Sea Buckthorn are valued for their rejuvenating, restorative and anti-aging action. Click here for information on sea buckthorn for everyday skin care. 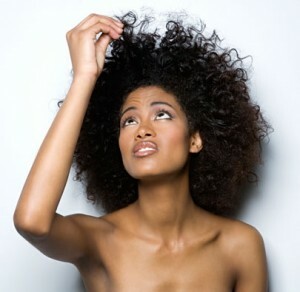 How we are viewed by the world is very important to many of us, and our hair plays an important role in that. It could be an emotional strain to struggle with thinning or unhealthy hair. Natural methods that assist hair growth and support the overall health of our hair, like Sea Buckthorn oil, could be a safer method than commercial, chemical-based products. The oil can typically be found as a shampoo or conditioner but there are also supplements available to help with hair growth. “Demodex Mites: Facts and Controversies“. Dirk M. Elston (2010). Clinics in Dermatology 28 (5): 502–504. doi:10.1016/j.clindermatol.2010.03.006. PMID: 20797509. I’m sure there’s a reason Hyppophae Rhamnoides (spelling?) really stands for “Horse with Shiny Fur” …. because it leads to shiny hair! Hi, I’ve saturated my scalp for the last 3 weeks, starting to get better, as I have had major skin/ scalp shedding, sand paper like scalp too in the last week. I have been to many derms and dr’s for them to tell me I need to stop picking and it was in my head. I hope my scalp continues to heal. I have suffered too long with itchy dry peeling scalp and ultimately hair loss. This seems to be working! Glad sea buckthorn seems to be working for you! Are you taking it internally or are you applying the oil to your scalp? Glad to hear your hair is strengthening! That is excellent news! You can certainly use the oil alone, use the pills alone, or take the oil and pills together. Either way your body will assimilate the nutrients, especially the Omega 7 fatty acids, which will continue to help your hair strength. Hope this helps! How much exactly does the oil cost and is it available in India?? We are only an informational site and do not sell products. You should be able to purchase from one of the companies featured in our sponsored ads. I am really excited reading these comments here nd want to use this wonder oil.Can u please tell me if it us available in India nd how much exactly does it cost ? We do not sell sea buckthorn products from this website but you should be able to purchase it from one of the companies on our sponsor ads. Do you have to leave this oil on overnight OR do you wash your hair after leaving it on for a certain amount of time??? Thankyou. There a number of different ways you can use sea buckthorn as an oil treatment. For a deep conditioning treatment, put oil on the ends of your hair for at least an hour then shampoo as usual. It may seem counter intuitive but using this method will keep your hair from feeling greasy. Oil will absorb into the hair shaft but you will need to wash off the excess. If you mix it with coconut oil, the coconut oil will act as a carrier and you will be able to get more sea buckthorn oil distributed throughout the hair shaft. Don’t forget that a little goes a long way. Another method is to add a few drops to your existing conditioner. You really only need a drop or so for a full bottle of conditioner and once you add it be sure to mix it well. Then you can simply wash and condition as usual. We wouldn’t suggest leaving it on overnight because both sea buckthorn fruit oil and seed oil are brightly colored and you could have a mess on your hands (or pillowcases, really) if you do so. You could possibly use a shower cap while you sleep to protect your bed clothes. If you did that, shampoo the hair the same way mentioned in the first method. Can you drink the Sea Buckthorn Oil ? Yes, sea buckthorn oil is much more nutritious than juice and you can absolutely take it orally! The only caveat is that you have to make sure that the brand you purchase is for internal use. Some extraction processes make oil that is not approved for internal use. You will know if the oil is edible if the product has a nutrition facts panel on it. Hope that helps! I apply a tiny bit on the hair scalp after hair wash and leave it overnight until I wash my hair again the next day. Is this recommendable? Thanks. Yes, that is perfectly fine! You might want to be careful not to get the oil on your sheets. Other than that it’s completely safe to leave the oil on for an extended period of time. We have never tried mustard oil! Sounds interesting. In terms of hair shine, coconut oil is great as a topical treatment. You can even combine sea buckthorn oils with coconut oils to make a hair treatment that works amazingly well. How can we use seeds of sea buckthorn for hairs? I have bought seeds not oil.. Your best bet would be to eat them. The seeds will be full of Omegas and a lot of other nutrients that are beneficial for the hair. You might be able to find a low cost oil extractor to make your own oil. Hi I just want to leave a comment as I have always had bad dry hair and want to tame the frizzyness and dryness can you leave it on like a serum to keep the frizz at bay? Yes, you can use sea buckthorn oils on your hair for sure. If you have chronically dry hair you should consider doing a treatment once a week with coconut oil as well as sea buckthorn fruit and seed oil. Just put enough of the oils to cover all of your hair and leave it in for at least 30 minutes (longer is okay). Then you should shampoo the treatment out of the hair and condition as normal. The oils will saturate the hair so it’s important to wash off the excess oil on the strands. You can add the oils directly to your hair like a serum when your hair is dry too, but make sure to experiment with the results first. The texture and color of your hair will determine if that method will work for you. For example, someone with fine, blonde hair might not be able to do this treatment because the sea buckthorn oils are both bright colors; orange and yellow. We also highly recommend starting the oils internally as well as externally because internal use will also help hydrate your locks! I have thinning hair due to postmenopause. I started drinking 1 ounce of seabuckhorn PUR everyday for skin moisure as well as for hair. I also want to use the oil on my hair to prevent hair loss. What do you suggest I purchase? Can I add biotin to the above or is too much? ( Biotin was the doctor’s suggestion before I started the PUR. We aren’t familiar with sea buckthorn PUR. Is it juice? You can definitely use sea buckthorn oil on your scalp and hair. That kind of application would be better for moisture though. If you can take the sea buckthorn oils internally that would be best for preventing hair loss. We did a search online and found a product that has a sea buckthorn blend as well as biotin mixed in. That seems like the best option for preventing hair loss. It seems like adding sea buckthorn and biotin is actually a great combination. Yes, there is a Sibu Omega 7 PUR. It’s a tart juice that you drink. It has lots of beneficial ingredients. I will check out the blend, thank you. I have another question, upon doing more research. Has anyone told you that they have gotten heart palpitations or a rise in blood pressure after taking seabuckhorn oil? I am suffering from hair loss there is complete baldness in middle of my head,suggest me which type of sea buckthorn oil is good for hair regrow. We would suggest the berry oil as it’s great for cellular health. We aren’t sure if it would actually cure baldness- but it’s worth trying! I’ve suffered with dry scalp and patches nearly my entire life. I started taking sea buckthorn oil capsules internally a month and a half ago and my scalp is completely clear for the first time ever. I can’t be 100% positive, but I think it must be the sea buckthorn oil because I haven’t changed anything else to attribute this miracle to! Hi . M staying in a city where water is very bad and because of that my hair became very thin…can I take seabuckthrone capsules and how long I have to take it and if I will leave it in between will it be a harmful. Plz suggest. It’s safe to take sea buckthorn oil for an extended period of time. If you are asking if you can use it topically, yes that’s safe too. Just try to follow the expiration date on the product you buy. Hyi i am facing hairfall issue wanted to confirm will this helps in new hair growth?? It could help, but it really depends on why you are losing hair. SBT helps hair with moisture and cellular support. It’s worth a try, though we can’t say for sure that it will work for everyone. Very enthusiastic responses for a web-site Q and A posting — most impressive. This makes the interactive experience really worthwhile. As for the product, Sea Buckthorn Oil, it seems to be something of a “wonder substance” (possibly because of the Omega range of oils). I’ve certainly been encouraged to give it a try.